TTake a walk along a series of boardwalks—see and smell red, white and black mangroves flourishing alongside wading birds, mudskippers and crabs, and finish with a breathtaking view of Durban. The Beachwood Mangrove Nature Reserve, at the mouth of the Umgeni River, is a preserved natural estuarine ecosystem, the only one of its kind in Durban (eThekwini), KwaZulu-Natal. It is home to three protected mangrove species, and with its characteristic tidal fluxes it also plays host to enchanting mudskippers, little fish that propel themselves over their mudflat home using their pectoral fins. Fiddler crabs, with their distinctive large claws, are plentiful among the mangrove roots at low tide, along with marsh crabs and the threatened dwarf chameleon. TThe three mangroves at Beachwood each play a distinct role in the mangrove ecosystem. Together they protect land masses against extreme weather (especially hurricanes and tropical storms), stabilise the shoreline and provide a living, breeding and feeding habitat for birds, fish and other creatures. TThis is a great venue for the twitching and birding fraternity. Catch a glimpse of the rare mangrove kingfisher, along with curlew, dikkop, weavers, sunbirds and the occasional Natal nightjar. There are three trails through the reserve, one of which is an elevated boardwalk laid out around Beachwood. This makes exploring the reserve possible even when the tide is in. TThe boardwalk winds along next to a distributary of the Umgeni, through a cool black mangrove forest and out into the mudflats. The mudflats are punctuated with sparse tufts of Ncema Grass, a popular hideout of the spotted bush snake. Look carefully if you are to spot the threatened KwaZulu-Natal dwarf chameleon hanging off a blade of grass. Along the shoreline, you’ll discover sand dunes that separate the estuary from the sea. From the beach, there are panoramic views of Umhlanga on the left horizon to the Durban cityscape on the right. A tarred road guides visitors to the southern section, close to the Umgeni estuary, where a thatched activity centre is available for educational groups. A road bridge crosses the river, providing access to the popular fishing spot at the river mouth known as Blue Lagoon. Which is better: beach or bush? 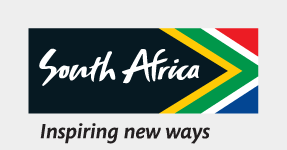 Visitors to South Africa want both, and will travel the country far and wide to get the full experience. But what if you could get the full experience all in one place?